The Open Geospatial Consortium (OGC) invites interested members & non-members to solicit proposals and participate in the combined OGC Disaster Resilience Pilot (DRP-2019) & GEOSS Architecture Implementation Pilot (AIP-10) Initiative. The two Pilots were merged since they share the same ambitions, technical principles, interoperability challenges, and goals: to develop best practices in sharing and accessing data through Spatial Data Infrastructures in specific contexts, with Disaster Resilience on the one side, and general Earth Observation contexts on the other. The goal of the Disaster Resilience part of the Initiative is to develop reliable and powerful data infrastructures that make available in a cost-effective way all the data required for decision making, analysis, and response in a flooding, landslide, volcano, earthquake, hurricane, wildfire, or other disaster situation. The results will be captured in a User Guide and shown in a final Demonstration. This goal - to get the right information to the right person at the right time - is the core interoperability challenge that unites the different contexts now contained in the combined Initiative. 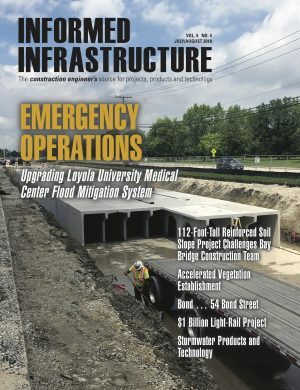 The Initiative primarily builds on the results of a recent OGC Disasters Interoperability Concept Development Study, sponsored by the U.S. Geological Survey (USGS) and Federal Geographic Data Committee (FGDC). The work from the study will soon be published as the OGC Development of Disaster Spatial Data Infrastructures for Disaster Resilience report. Additionally, the Initiative is further supporting GEOSS, the Global Earth Observation System of Systems. GEOSS provides comprehensive, coordinated and sustained observations of the Earth system in order to improve monitoring of the state of the Earth. The goal of GEOSS is to increase understanding of Earth processes and enhance prediction of the behavior of Earth’s natural systems. The GEOSS Architecture Implementation Pilot (AIP) develops and deploys new process and infrastructure components for the broader GEOSS architecture or community. OGC has led AIPs using the OGC Innovation Program for over a decade. The goal of this combined Initiative is to develop best practices that help domain members to enhance current systems and system setups, to better understand how data can be shared and integrated more efficiently, and to provide a platform to exchange know-how around Spatial Data Infrastructures (SDIs). All scenarios will be demonstrated at a final event at USGS headquarters, Reston, VA in September 2019. This is a practical implementation and user guide development driven initiative. Cost-share funding has been made available to offset participants' costs for selected disaster-related scenarios. Everyone is invited to respond to this Call for Participation with ideas on scenarios, work items, demonstration scenarios, and corresponding user guides. The OGC Disaster Resilience Pilot (DRP-2019) & GEOSS Architecture Implementation Pilot (AIP-10) Initiative Call For Participation contains more information on the Initiative, including how to participate. If you have any questions about the Initiative and/or Call For Participation, please contact techdesk@opengeospatial.org.